I’ve been trying to get a good shot of my new favorite vase for a while, but haven’t been able to do it. But I had success today! The key was not using it as the main subject, but as a background element. 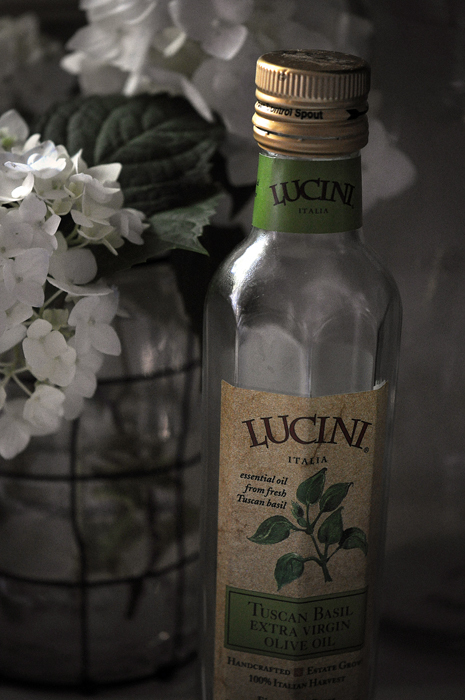 Joe bought me this Lucini olive oil, along with several other kinds, at Christmas. Yum! Olive oil and bread – now THAT is a good combination!